It's my birthday today! I have been craving key lime pie for quite some time now, so I figured there's no better time to make it than my birthday! 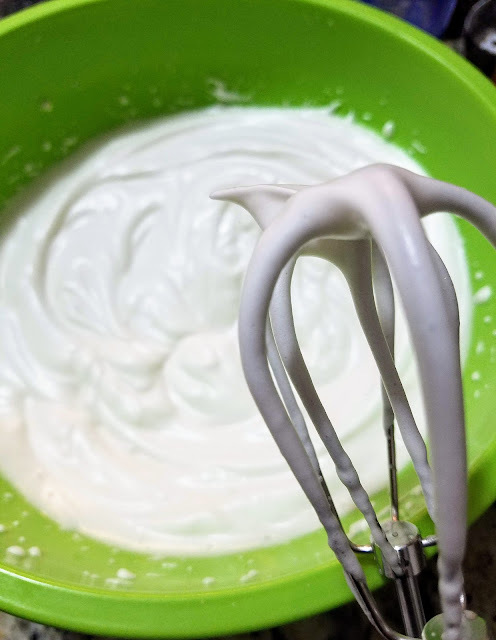 Plus, I'd never tried baking with aquafaba before so I bought myself a hand mixer as a birthday present and was determined to make some vegan meringue! It's been a very busy week with four late nights, but I was determined to make this darn pie if it was the last thing I did before my 27th birthday. 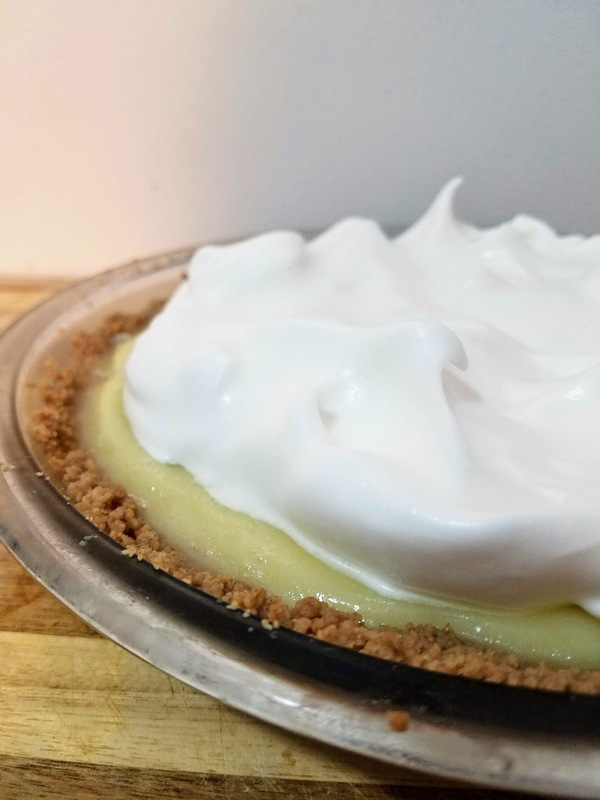 I could just taste the tart citrus and the buttery crust and the sweet pillowy meringue topping! 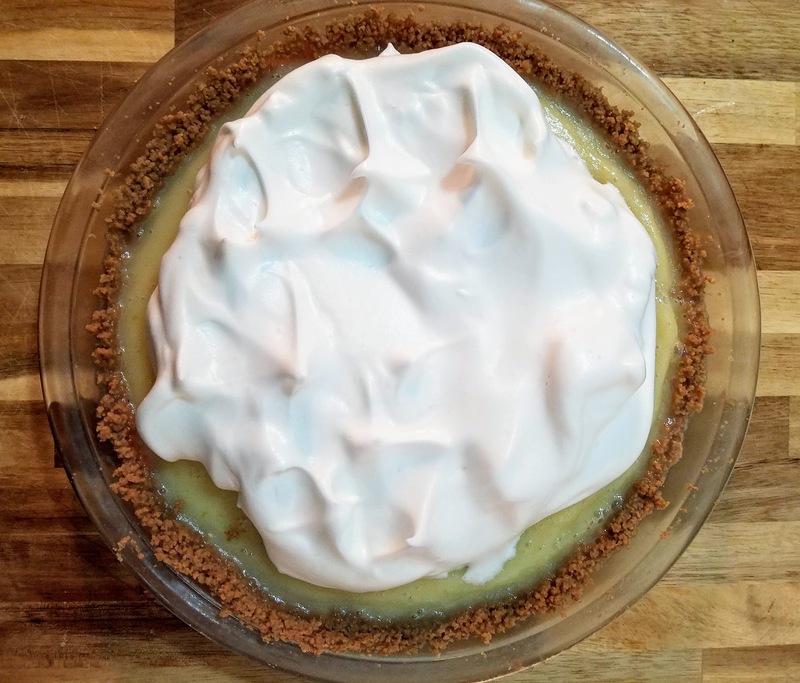 And let me tell you, this pie did not disappoint my salivating taste buds. 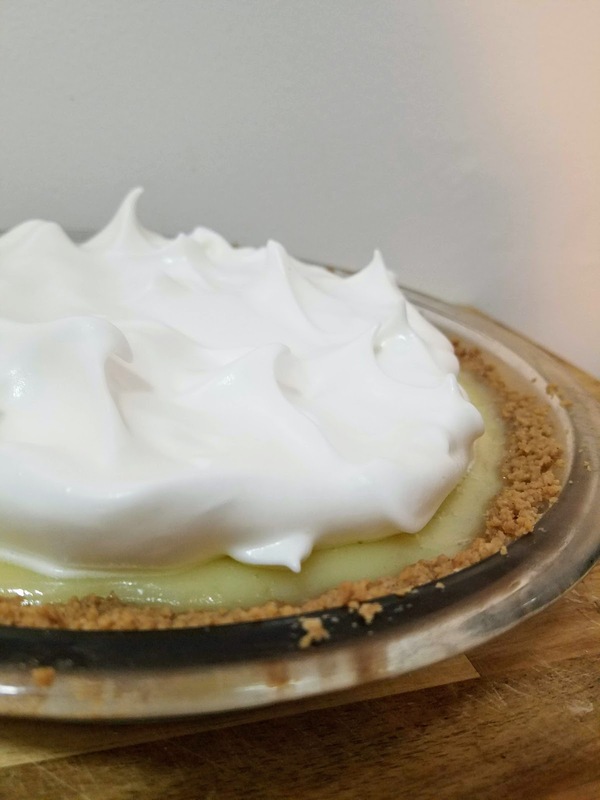 It turned out just as I hoped - refreshing, sweet, tart, and decadent. On my birthday I'm reflecting upon the past year and realizing that I'm really proud of myself for going above and beyond to try new things for this blog, and that I haven't given up whenever I got busy or tired. It's really fun to think up recipes to share with you all and it keeps me cooking and learning and eating! Happy birthday to me! Preheat oven to 350. Place cookies in a large plastic bag and crush with rolling pin until they are broken up into crumbs. Add cookie crumbs to a food processor along with melted butter and coconut oil. Pulse until very crumbly and starting to stick to the sides. 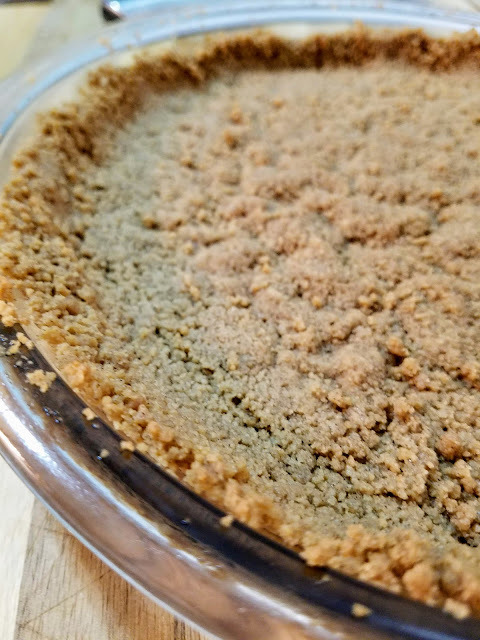 Using the back of a spoon, press cookie mixture into a pie pan along the bottom and up the sides. It should be about 1/4-1/2 inch thick all the way around. Bake the crust for 12 minutes. Set aside to cool. In a medium sauce pan over medium heat, add coconut oil and cornstarch. Whisk out lumps and allow to come to a boil and thicken. Add lime zest and juice, sugar, butter, and salt and whisk to combine. Bring back up to a boil and let thicken for another 10 minutes. 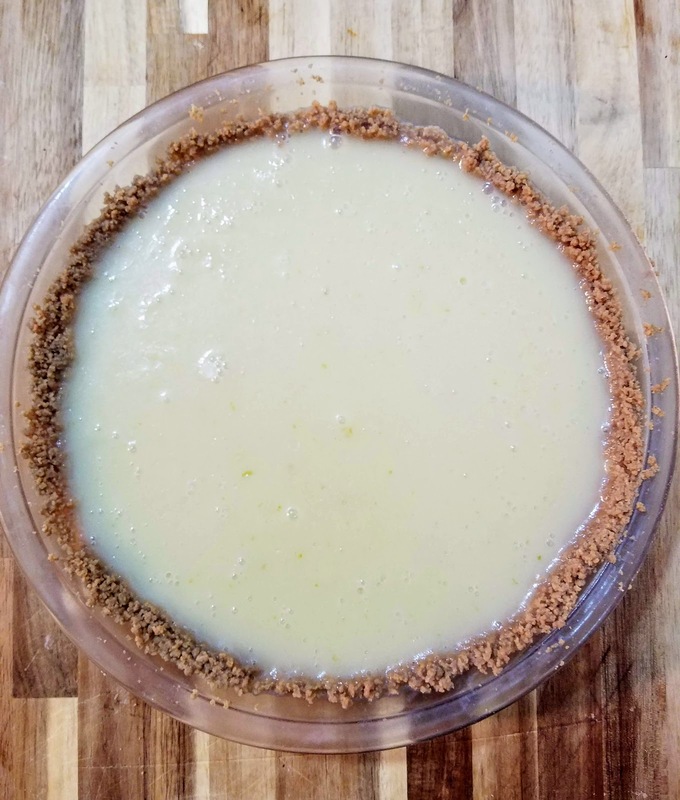 Pour curd into crust and refrigerate for at least a couple of hours or overnight if possible. To make meringue, add aquafaba, powdered sugar, vinegar, and vanilla to a large mixing bowl and mix together with a hand or stand mixer for 10 minutes (2 minutes on low, 2 minutes on medium, and 5-6 minutes on high, or until you have stiff peaks). 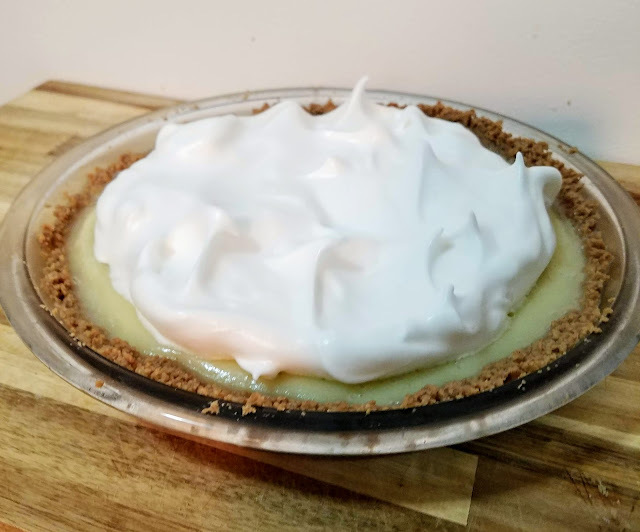 Dollop meringue on the pie and lightly brown with a blow torch if you've got one - otherwise just enjoy as is!